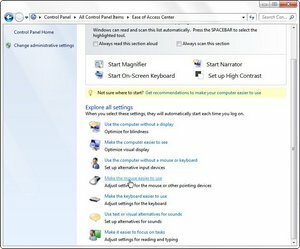 According to Microsoft, “Snap is a quick (and fun) new way to resize open windows, simply by dragging them to the edges of your screen. 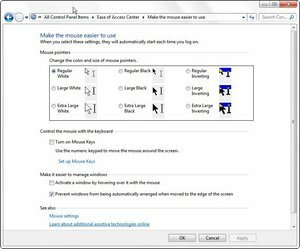 Depending on where you drag a window, you can make it expand vertically, take up the entire screen, or appear side-by-side with another window…” This feature poses a problem for those who would drag their windows off of the screen, if only a portion of that window needs to be seen. 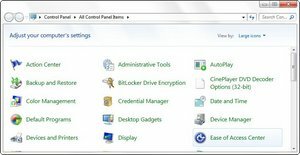 In a couple of easy steps, there is a way to disable Snap. 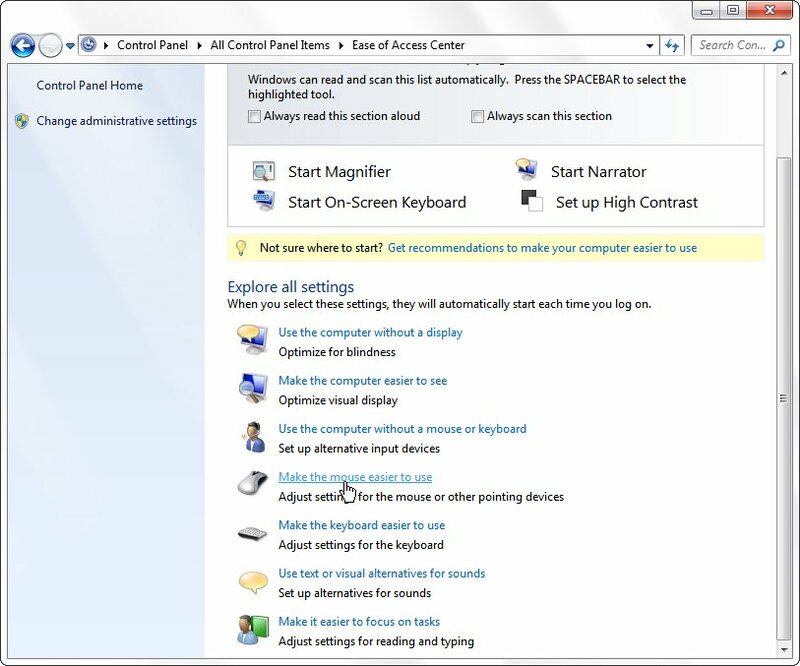 From the Control Panel, select Ease of Access Center. 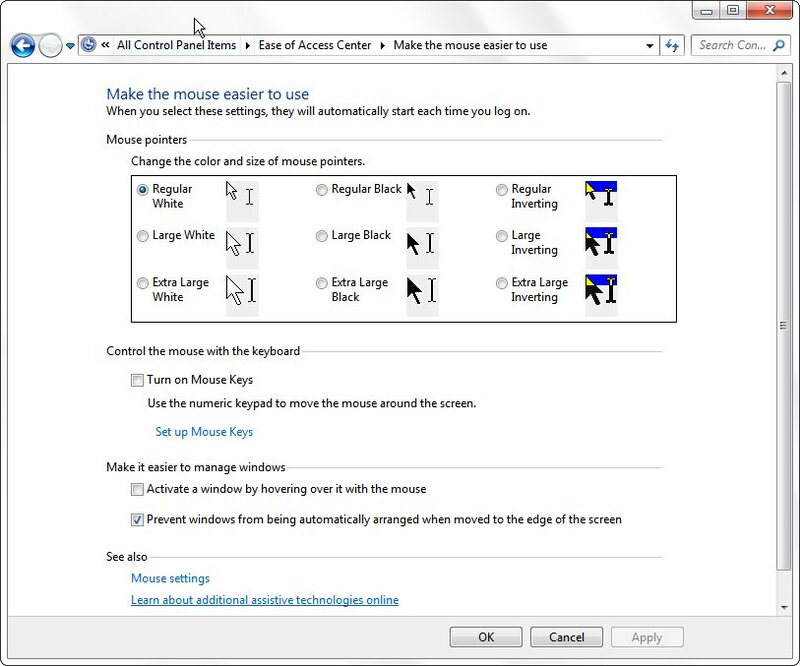 Select Make the mouse easier to use. 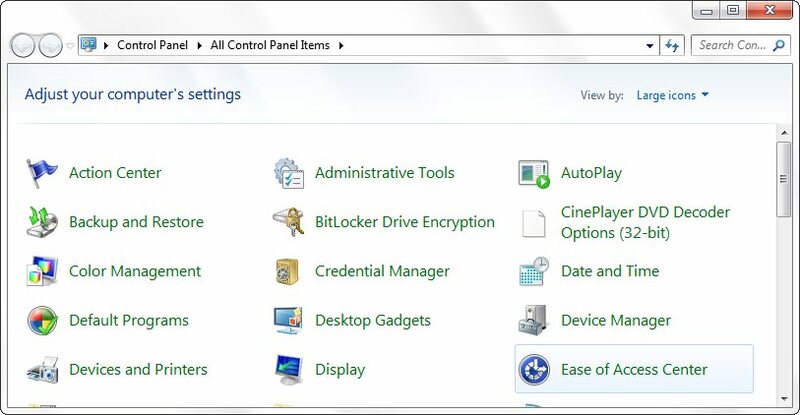 Under the Make it easier to manage windows section, place a check in the Prevent windows from being automatically arranged when moved to the edge of the screen.